The Rother Valley Railway (RVR) is a heritage railway project based at Robertsbridge in East Sussex, England. It takes its name from the original name for what later became the Kent and East Sussex Railway, running from Robertsbridge through to Headcorn in Kent, via Tenterden. The project is to replace the ‘missing link’ between Robertsbridge, a station on the Tonbridge to Hastings mainline, and Bodiam on the Kent and East Sussex Railway, a heritage railway which operates from Bodiam to Tenterden. 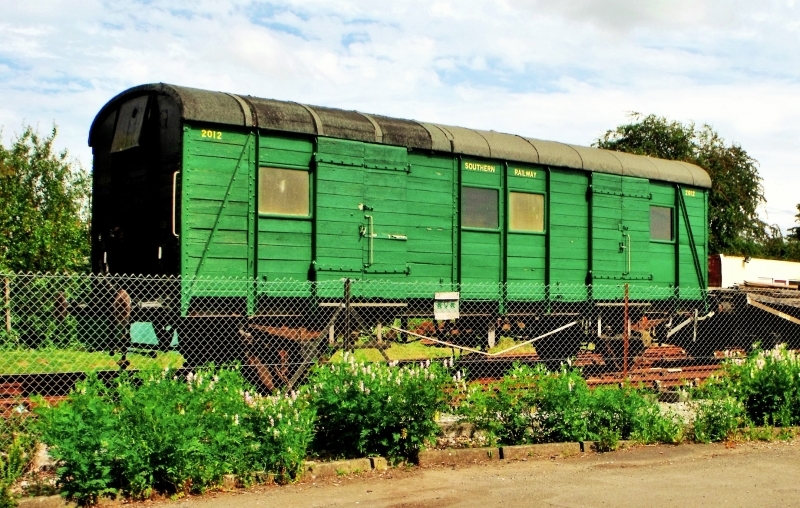 A charity supported by a society of volunteers are attempting to re-establish the railway link. The RVR began by reinstating the first few hundred yards of line eastwards from Robertsbridge, and also a short stretch westwards from Bodiam. In 2010, the latter section was further extended to reach Junction Road. In summer 2011 work began at Robertsbridge to extend further eastwards to Northbridge Street, which entailed the rebuilding of five bridges. By June 2012, this further extension was also completed. In September 2013, a Gala weekend at Robertsbridge marked the progress to date and the start of the next phase - the re-instatement of the section between Northbridge Street and Junction Road, for which statutory permissions are being sought. While the RVR does not yet feature regular passenger trains, the base at Robertsbridge houses a small shop and visitor centre open to the public each Sunday, utilising a building formerly used as the London terminus of the Orient Express. There is also a small collection of historic railway vehicles in various stages of preservation. Please give us your overall rating for Rother Valley Railway.